This is Part 3 of a 4 part series in which I share some of the details of the road my wife and I took to pursue financial independence. In Part 1, I explained our backgrounds, shared some details of our married life together, and discussed the first key factor which enabled us to reach FI (namely, Motivation). In Part 2, I talked about four more key factors (Salary Growth, Controlling Lifestyle Inflation, Long-Term Investing, and Real Estate). 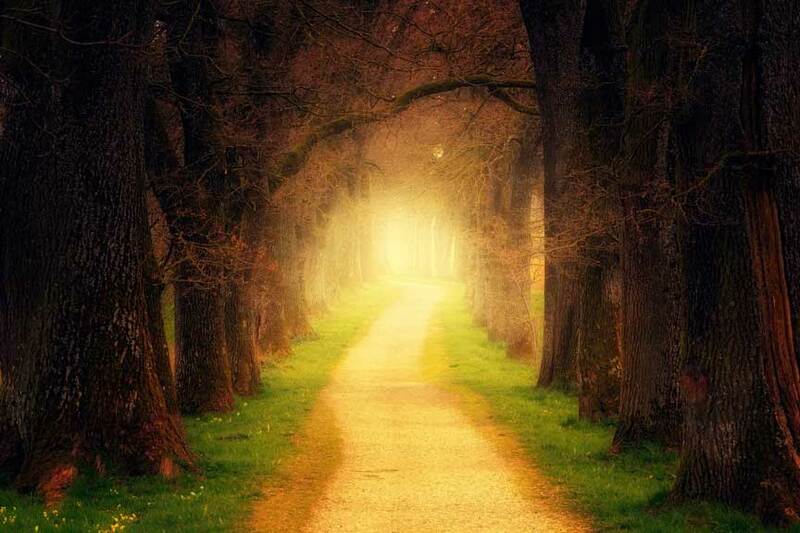 In this post, I will talk about the final key factor in our journey. A key factor during our road to FI was finding a way to measure our progress, as well as defining success criteria. How would we know when we had reached financial independence? Tip: To know whether you have reached FI, you need a specific target and a way to measure your progress. We used three methodologies for evaluating our FI progress and readiness, all of which rely on having a good understanding of your average monthly expenses. The commonly used “Rule of 25” says that when your investment balance has reached at least 25 times your annual expenses, you have reached financial independence. Assuming you have a good handle on your annual expenses, this is an easy key metric to track and a good place to start. In fact, Brad Barrett and Jonathan Mendonsa at ChooseFI argue that most retirement calculators are too complicated and focus on the wrong things; they are strong proponents of the 4% Rule of Thumb. The rule oversimplifies the FI evaluation down to an unsophisticated formula. Life is more complicated than this, and a one size fits all approach is only going to be so accurate and take you so far. Some people in the FIRE community feel that a factor of 25 is too aggressive and insufficient to sustain financial independence, and they promote a Rule of 30 instead to be more conservative. For the second reason above, and to increase our confidence, we ended up adopting a goal of 30 times our annual expenses as the minimum target for reaching FI. By last June, at the time I left my job and we moved to begin our life after FI, we had amassed a multiple appreciably over 30 times our annual expenses. With a multiple over 30, we feel confident that we have the resources and flexibility to weather life’s storms as well as the typical ups and downs in the stock market. As compared to the 4% Rule, a more sophisticated approach to tracking FIRE-readiness is to use Personal Capital’s Retirement Planner tool. This robust tool allows you to enter some core assumptions along with your income events and spending goals. However, the output is only as good as your input (garbage in, garbage out). If you are already pretty organized about your expenses and financial planning, then you should get meaningful results from the tool. After you finalize your inputs, the Retirement Planner runs Monte Carlo simulations similar to what a financial advisor would run in typical retirement planning software. Our confidence forecast in Personal Capital has usually fallen in the 80-90% range. An example forecast in Personal Capital. The Retirement Planner also provides a graph which illustrates your projected portfolio value. Personal Capital helpfully explains some of the algorithms behind their projection. We ran 5,000 simulations based on the expected cash flows and 7.6% annual return and 13.6% annual standard deviation. The return and risk assumptions are based on the historical performance of your portfolio’s current high level asset allocation, reduced by 1% given the current market outlook. The median scenario (or 50th percentile) shows the level where 50% of the scenarios had a more favorable outcome. The 10th percentile (a pessimistic outcome) shows the level where 90% of the scenarios had a more favorable outcome. The Asset Location view uses the median scenario. All values are inflation adjusted to show in today’s dollars. Finally, as part of your retirement plan result, Personal Capital includes a Detailed Cash Flow Table, which helps illustrate how your money will grow or shrink based on events in your plan. In contrast to working with our financial advisors, I really like that I can run this simulation myself at any time and also play with multiple “what if” scenarios to see how possible changes in our plan affect our forecast. I am a huge fan of Personal Capital as a tool to aggregate all of your financial accounts and monitor your net worth. I am an even bigger fan of their Retirement Planner tool, which for us was a key tool for modeling out early retirement scenarios. 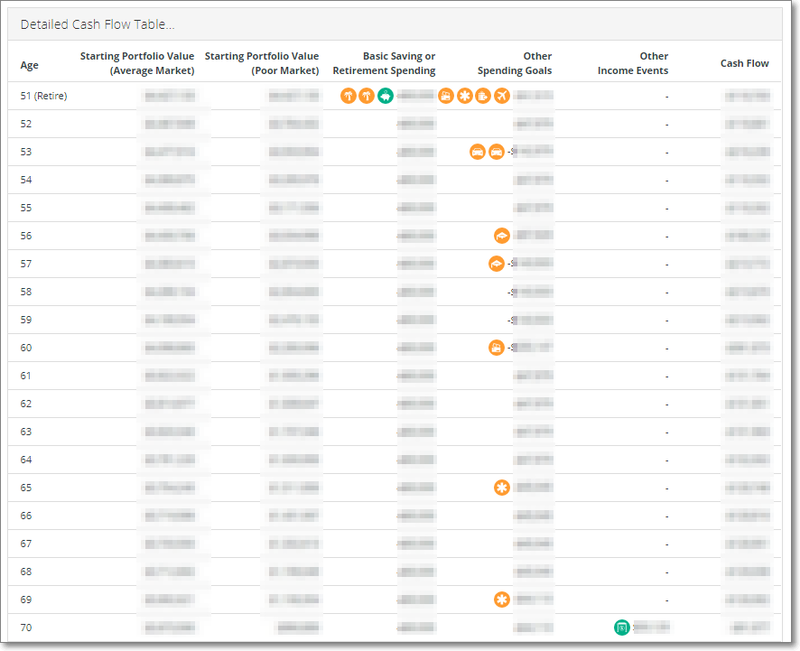 By the way, nearly all of Personal Capital’s toolset is free to use, whether or not you hire them as your financial advisors (which we have never done). If you work with a good financial advisor, then you’ve probably gone through the exercise of filling out a detailed questionnaire about your life plans, your income sources and your spending goals — including any dreams you have for retirement, for putting your kids through college, for traveling, for owning a yacht (if that’s your thing), for leaving money to charity, etc. Financial advisors all seem to use the same — or similar — proprietary tool (ours use MoneyGuidePro) to enter your data and run Monte Carlo simulations to evaluate your plan’s probability of success. Monte Carlo simulations are used to model the probability of different outcomes in a process that cannot easily be predicted due to the intervention of random variables. It is a technique used to understand the impact of risk and uncertainty in prediction and forecasting models. 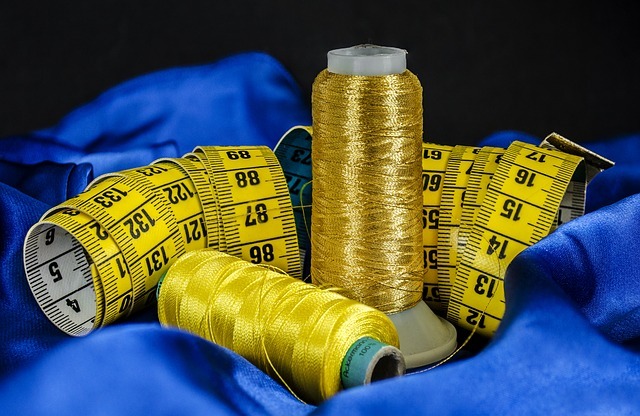 Monte Carlo simulation can be used to tackle a range of problems in virtually every field such as finance, engineering, supply chain, and science. In financial planning, advisors use Monte Carlo simulations to run hundreds or thousands of possible stock market scenarios against your plan based on historical market performance. Different scenarios simulate a range of possible future market conditions — bull markets, bear markets, corrections, crashes, etc. The simulations produce a range of outcomes which are graphed to determine the probability of whether you will run out of money by the end of your lifetime. 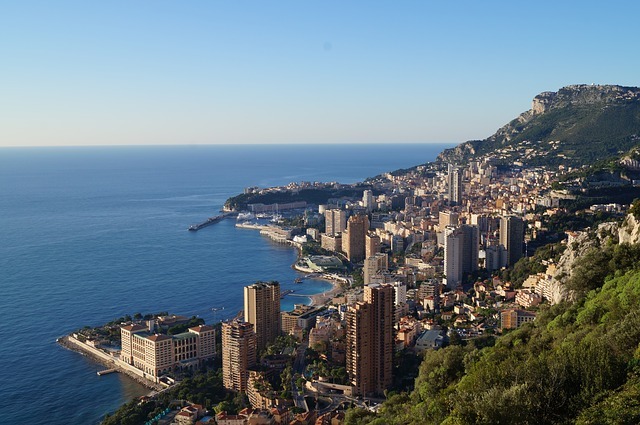 The real Monte Carlo (in Monaco). The advantage of working with good advisors (as opposed to doing it yourself with Personal Capital or a similar tool) is that they can bring a level of rigor, detail, nuance and subject matter expertise that can be challenging to reproduce independently. In other words, they can solve the garbage in, garbage out problem by helping to vet that your inputs are accurate and by accounting for complexities around topics such as health care expenses. For example, our advisors analyzed whether the smarter choice would be for us to buy long-term care insurance (which is expensive) or self-fund that contingency from our portfolio. To answer the question, we added a four year long term care event to our plan (based on the statistical probability that at most one of us would have a health event requiring such care). In our case, the latter option won out, since our plan can withstand the extra expense if needed. As with Personal Capital’s tool, your advisor can run multiple “what if” scenarios so you can evaluate how different assumptions or goals would affect your plan (for example, what if you increased or decreased your vacation budget by $5,000 per year or what if you retire 5 years earlier or later than planned?). After you finalize all of your inputs with your advisor, their software runs the Monte Carlo simulations and spits out a report with a probability of success. In our case, the software has typically put us well into the Confidence Zone. 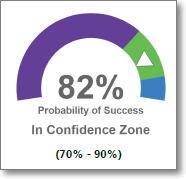 The confidence zone is a probability of success of 70-90%. Below that, you will likely have to make some adjustments to your plan for it to succeed (e.g. increase your age of retirement or decrease your spending). An example probability forecast (the confidence zone is in green). Believe it or not, advisors consider a score of over 90% also to be problematic. (We should all be so lucky as to have this problem!) With a score over 90%, the thought is that you should be doing more with your money since you can’t take it with you — e.g. increasing your quality of life, increasing your charitable giving, leaving more to your kids, or whatever is important to you. The report also includes a graph which plots the results of the hundreds of simulations run against your plan. The outcomes which are bunched up together towards the bottom of the graph are the most likely while the outliers toward the top are less likely (since they reflect extreme market conditions which are unlikely to happen — e.g. a record bull market for 50 years). A Monte Carlo simulation graph. Each grey line coresponds to a single simulation. The green line represents average stock market returns whereas the red line represents bad timing (e.g. if you had to sell stock while the market was down). Now that you’ve seen the Monte Carlo simulation model of retirement planning (whether via Personal Capital or a financial advisor), hopefully you can now better understand why I find the Multiply By 25 Rule to be too simplistic to rely on exclusively. In summary, we used three different methods to measure, evaluate and stress test our FIRE-readiness. Since all three indicated that we were in the green, we had sufficient confidence to move forward with our plans. Setting a specific goal (e.g. your FI number or minimum confidence forecast percentage) and adopting one or more techniques to measure progress are important steps to building motivation and sustaining momentum on the road to financial independence. That ends Part 3 of the story of our journey down the FIRE trail. In the next and final installment of this 4 part series, I will review lessons learned, share some of my favorite FIRE bloggers and podcasters, and ponder what’s next. Hi Randy. Just found your website today via your comment on ournextlife website. I’m really enjoying your FIRE Trail series. Looking forward to read Part 4 and of course, for more posts from Milo. Thanks for the comment, Ginette. I’m glad you are enjoying my blog so far. I am also hoping that Milo writes some more blog posts (he’s my cat for the uninitiated). Unfortunately, he must overcome his feline indifference and his habit of resting everyday in order to write anything — so his posts are sporadic.